If there’s one item of race-wear I’m particularly fussy about, it’s gloves. Gloves dictate how much feel and control you have and can even be the difference between winning and getting debilitating arm pump. 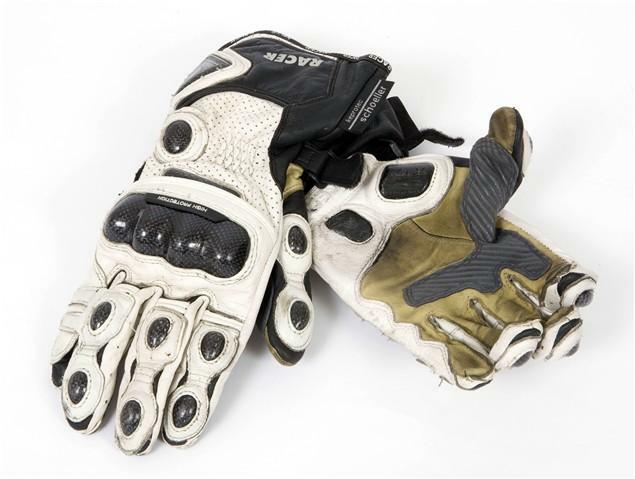 These gloves from Racer are the best I’ve ever worn, period. They're comfortable from the start with loads of feel from the soft palms yet tough enough to withstand an 80mph lowside on abrasive Spanish tarmac and a 60mph high-side at a wet Oulton Park. The excellent Knox scaphoid protection system has worn down, but they’re still usable with remarkably little visible damage to the stitching or leather.